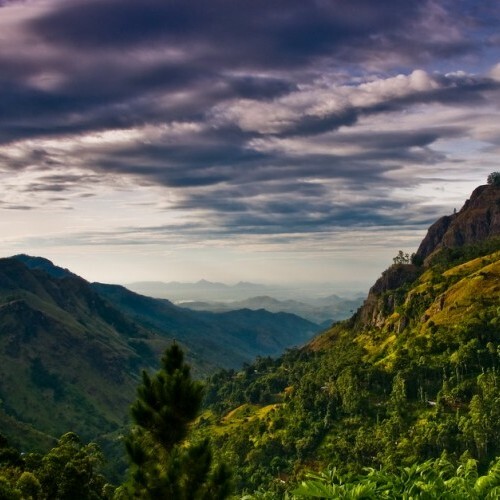 The village of Ella, which is 45 km southeast of Nuwara Eliya, has one of the most spectacular views in the southern Hill Country (Uva Province). 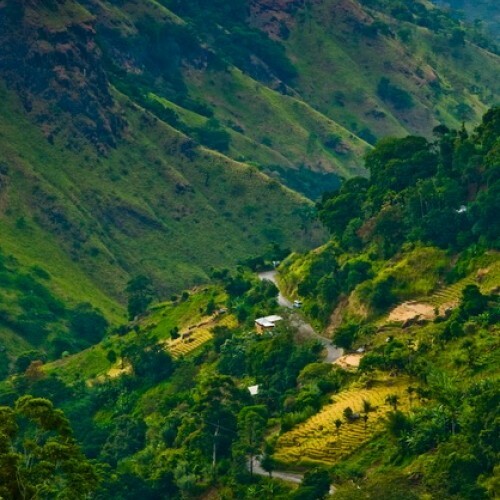 Coming from the north, the road follows the foothills covered with thick woodland, which totally obscures the view. From the village, the way seems barred by an apparently impassable valley, but you soon come across a ravine with a rushing stream. All at once there is an extraordinary sight - a precipice plunging nearly 1000 m into the abyss. Framed by the cliff of the rock of Rawana and a wooded ridge, this is "Ella Gap", giving a breathtaking view over 100 km of the rolling hills which stretch into the distance and eventually disappear into the pale line of the Indian Ocean. 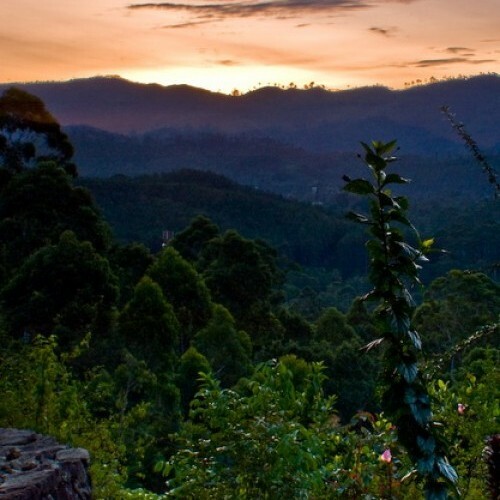 With stunning views, a relaxing ambience and a cool mountain climate, tranquil Ella is a great place either to sit back and recharge your batteries or to explore the surrounding countryside on foot. 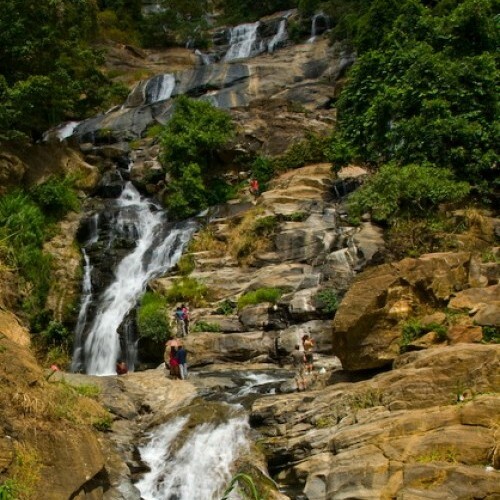 In the local area, you can visit the impressive Rawana Falls and the mythical Rawana’s Cave, where prehistoric remains of human skeletons have been found, walk to what is locally known as Little Adam's Peak, or, if you are more intrepid, hike to Ella Rock, where you will be rewarded with stunning views to the south coast. 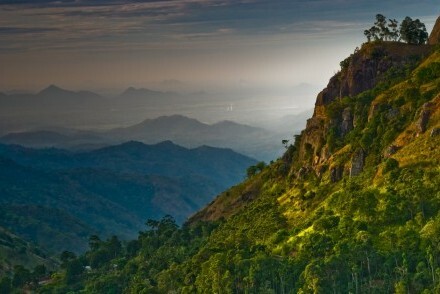 Further afield, there is the panoramic viewpoint of Lipton’s Seat near Haputale and Bambarakanda Falls, Sri Lanka’s highest, towards Belihuloya. 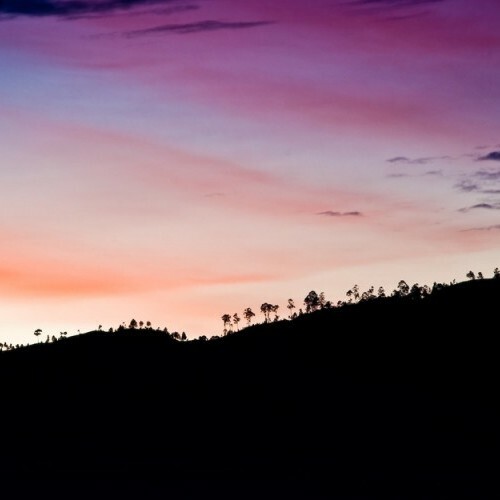 Explore the Hill Country and areas near Ella. 98 Acres Resort is a luxury retreat with spectacular views in an idyllic location at the southern end of the Hill Country. 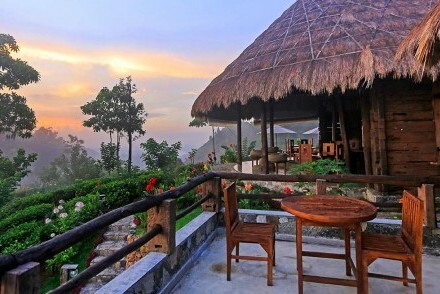 Surrounded by the eponymous scenic tea estate in Uva Province, it was constructed with the emphasis on eco-friendliness and sustainability.